Garage Door Repair Murray Hill is a name that you can trust when it comes to providing dependable and high quality garage door spring repair services. We have made a name in the industry and have a comprehensive list of highly satisfied customers for both residential and commercial applications. In every task we commit to, we make sure that we are able to deliver high quality service and complete it on time and budget. We understand how important it is to have to fully functional garage door. Thus, we make sure that our customers are our priority. We adapt our services based on the varying needs of our customers. We strive to provide nothing but high quality services for them round the clock. We are experts when it comes to all kinds of garage door repair services. We have employed highly qualified and trained technicians to deliver unparalleled repair services at an affordable rate. Our technicians are familiar with all issues pertaining to doors and can help find the best solutions. They can provide a detailed explanation about the issue and the best possible solutions to resolve it. Our technicians are also familiar with the latest methods and specialty tools used in the industry. They can handle anything. We can solve any problem with your door. 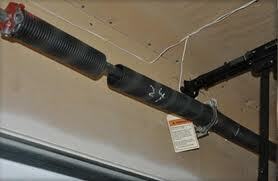 We specialize in door spring repair and replacement. We can resolve and repair issues with your broken torsion and extensions springs. We can diagnose and fix whatever is wrong with your unit. When it comes to spring repair, we do our job efficiently while conforming to the safety standards set by the industry. We offer prompt and reliable services, as we understand the importance of having a functional unit for the safety and security of your home or business. When it comes to standard torsion spring replacement, we can determine if both springs need to be replaced and help find the right replacement. We will you help find the right solutions based on your needs to minimize the cost of maintaining your unit. Extension spring replacement is another service we offer. We will choose the spring that suits the weight of your garage door. Whatever is wrong with your door, you can rely on us to fix it. We are experts in this field. We can guarantee that your door will function like new after we repair it!